More than four years ago Time magazine reported over ten million Americans meditate and since then the number has constantly grown. Once thought of as a ritual performed by men who shaved their heads, wore long robes and lived in a mountain cave, this mind quieting, stress relieving natural self-healing practice is becoming so commonplace that corporations such as Deutsche Bank, Google and Hughes Aircraft recognize the intuitive powers of it and offer meditation classes to their employees. In addition, the scientific community has stepped up to the plate and is offering factual data to support many of the proclaimed benefits of meditation. Studies on the effects meditation has on the brain and body have been going on for quite some time at institutions such as the Brain Imaging Laboratory at the University of Wisconsin, Massachusetts Institute of Technology, Yale and the Benson-Henry Institute for Mind-Body Medicine at Harvard Medical School. Scientific Benefits Clinical findings from the work done at the Benson-Henry Institute for Mind-Body Medicine show that people who meditate correctly and on a regular basis have produced measurable changes. For instance, eighty percent of hypertensive meditation patients lowered their blood pressure and decreased medications while 16% were able to discontinue using their medication all together. One-hundred percent of patients who suffered with insomnia reported improved sleep from meditating and the majority of them were able to reduce or eliminate sleeping medication. In addition, folks who suffer from chronic pain reduced their physician visits by thirty six percent and open heart surgery patients had fewer post-operative complications, all due to a regular practice of meditation. And, it doesn't stop there. Women also benefit greatly from meditating. Findings concluded that women who experience severe PMS had a 57% reduction in physical and psychological symptoms. And, infertile women who meditate have a 42% conception rate. In addition, these women also showed decreased levels of depression, anxiety, and anger. The research into meditation has also turned up some interesting physical results. Areas of the brain which deal with attention and processing sensory input have been found to actually thicken. Sara Lazar, a psychologist at Harvard Medical School noted, "These increases are proportional to the time a person has been meditating during their lives". She went on to report, "This suggests that the thickness differences are acquired through extensive [meditation] practice and not simply due to differences between meditators and non-meditators." Spiritual Benefits Beyond the scientifically proven results such as reducing stress, relieving anxiety and strengthening the immune system meditation also offers many spiritual benefits. Having the ability to quiet one's mind and retreat to a thought-free state of calmness opens the connection to higher intelligence and greatly enhances problem-solving abilities. In addition, with practice and coaching you can develop the ability to ask pointed questions and receive answers to them through this same dynamic channel. And, tapping into the vast wisdom of the universe doesn't stop there. As you continue to welcome the innate reconnection of your mind, body and spirit, you will naturally begin to take a holistic approach towards healing yourself and living your life. You'll be able to recognize and trust in your true intuitive thoughts as well as increase your ability to remotely detect information and help others in need. All of which allow you to focus on and enjoy the true wonders of life. The Miracles of Meditation Albert Einstein said, "There are two ways to live your life. One is as though nothing is a miracle. The other is as if everything is a miracle." The number of miracles born out of a regular practice of meditation are untold. From loosing weight and quitting smoking, to manifesting more money and physical items, to rekindling relationships and curing terminal diseases, millions of accounts of miracles just like these are attributed to meditation. When you calm your mind and focus on what you want with desire, belief and expectancy, the gates of the universe open up to provide you the fastest and easiest path towards obtaining it. Dynamically Creating Your Future Our universe is based on the Law of Attraction which in the simplest terms states that like attracts like. This means each person on planet earth is equally entitled to the free flowing peace, love, joy, abundance, kindness and generosity it has to offer. It's not a privilege of any sort and it's certainly not reserved for a select few, as our society sometimes leads us to believe. The universe unconditionally provides that which we closely focus our thought and attention on, without exception. Buddha said, "All that we are is the result of what we have thought. The mind is everything. What we think we become." Everyone has the means within them to actively participate in manifesting any thing, condition or circumstance they want. The challenge most of us face is how to focus on what we want long enough to have it come to fruition. 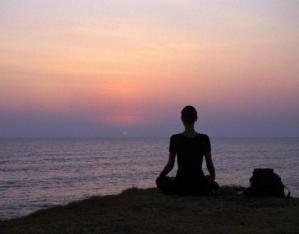 Meditation is gateway to greater concentration, thought control and intentional manifesting. As Buddha said, "What we think we become". And, the better we become at holding a clear thought of "what we want" in our mind, the faster it comes. Meditation rules when it comes to dynamically creating your future day after day because of its inherent ability to allow you to concentrate intently on the object of our desire. Over 10 million people use meditation for one simple reason. No matter what you use it for, it works!